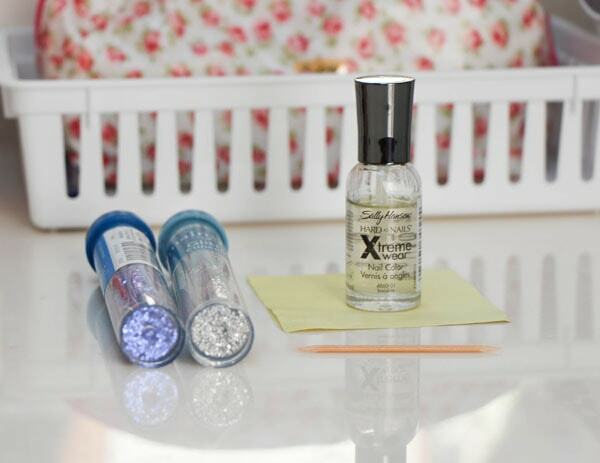 Learn how to make your own customized glitter nail polish with our simple tutorial. I am a huge sucker for glitter nail polishes. 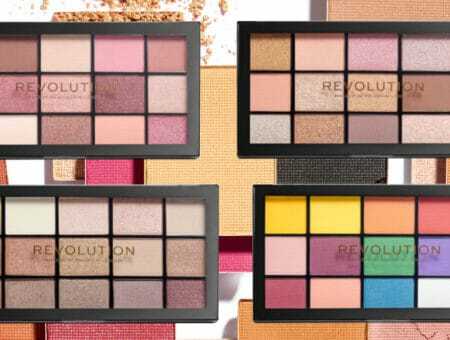 Sometimes, though, it can be frustrating when I have a specific color in mind and either can’t find it or it’s too expensive for me to even consider. I was in a craft store the other day and stumbled across a gorgeous display of glitter. Seeing that they were pretty cheap, I bought a few tubes and spent the next hour experimenting. I’m so happy to report that the experiment was successful! 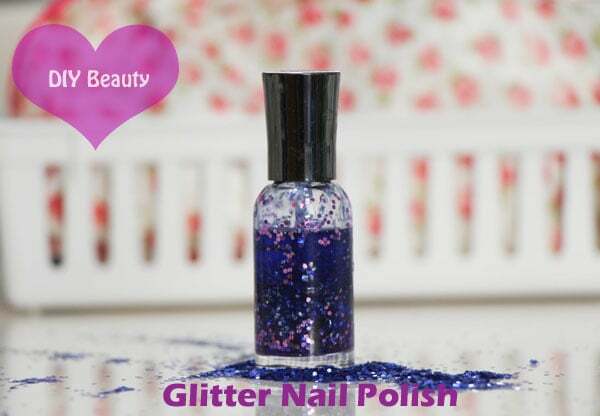 I love how I can now customize my own glitter nail polish color for a low price and in just a few minutes. 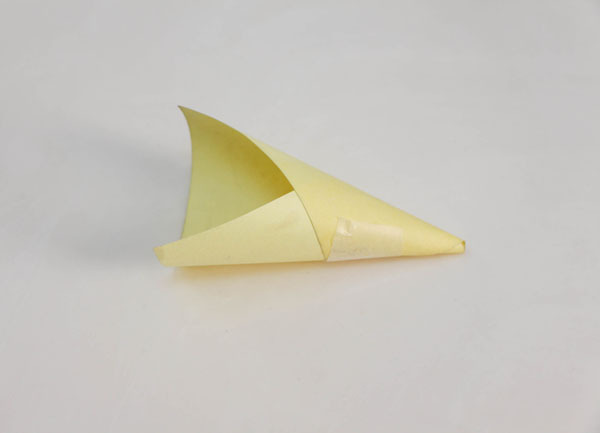 Create a funnel with the scrap piece of paper/Post-it note. Staple or tape it to help the paper maintain its form. 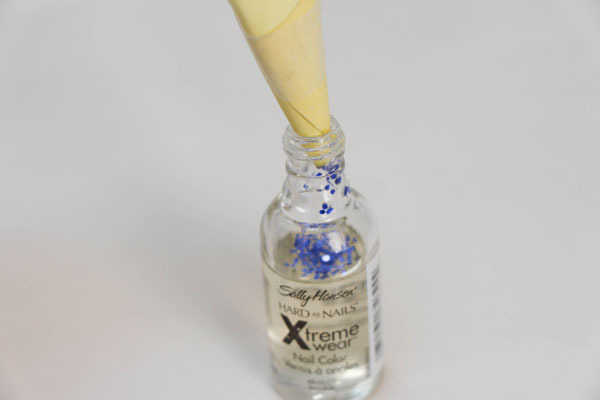 Using the paper funnel, pour a tiny amount of glitter into the bottle of nail polish. 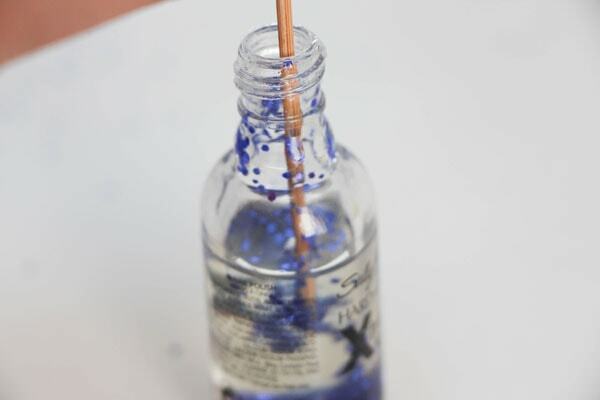 Using the toothpick, mix in the glitter. 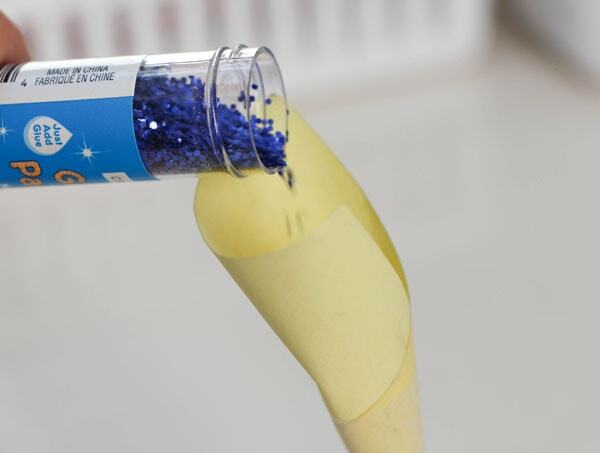 Continue pouring the glitter, one small amount at a time. Note: if you pour too much at once it might clog up and make it hard to stir. 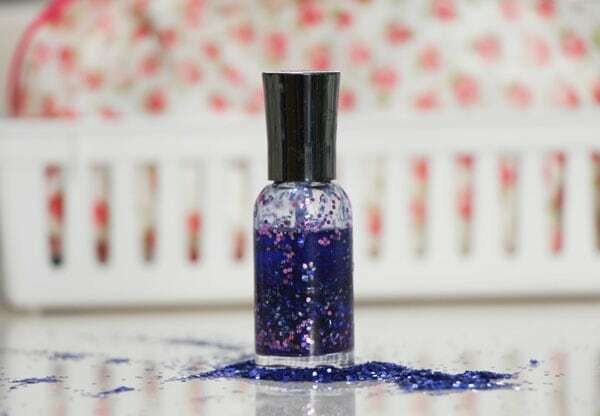 Add the cap back on to the polish, then shake the bottle vigorously until well-mixed. Then apply and admire your new customized glitter nail polish! Do you like this DIY? Are you going to try it out? What are your favorite glitter color combos? 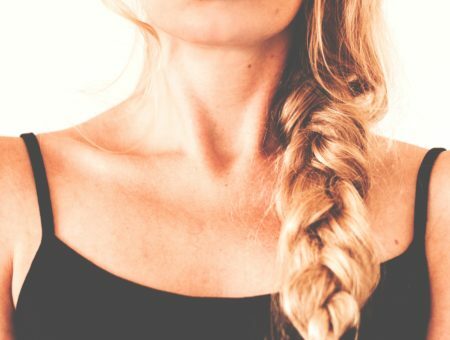 Let me know in the comments below; I’d love to hear what you think!